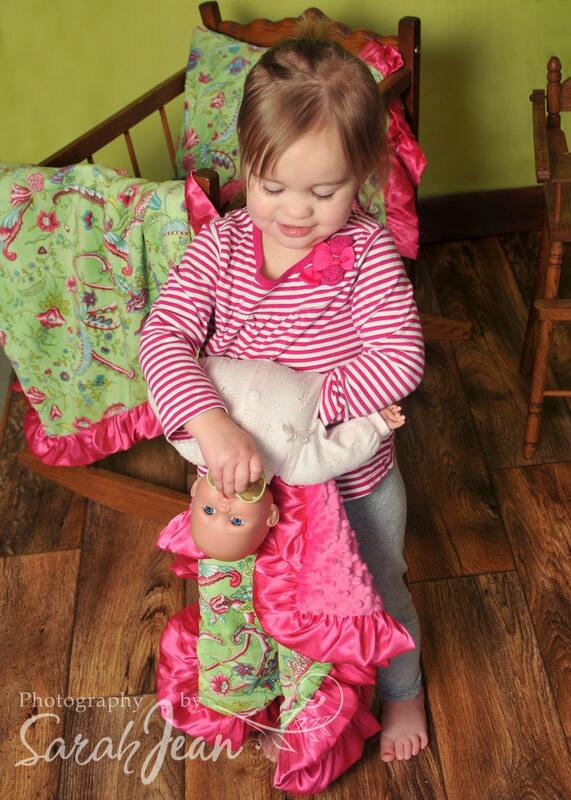 Beautiful rosebud swirl minky, plush fabric with a pile, is perfect for your baby girl - or as a teen or adult blanket gift as well. Rosebud swirl mimics little roses, very sweet. Machine wash warm, tumble dry very low. 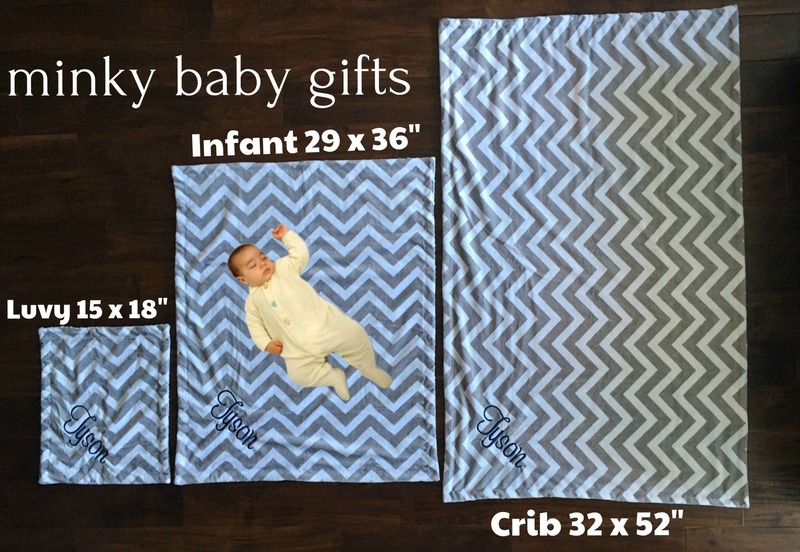 •	18 x 22 Luvy size or travel size, this is for baby to haul around PLEASE DO NOT ORDER THIS UNLESS YOU ARE LOOKING FOR A LUVY! 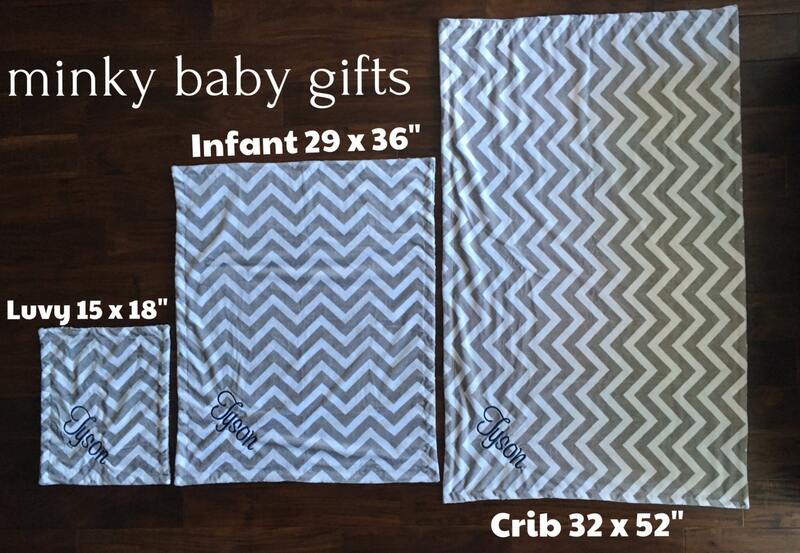 you cannot wrap a baby in a blanket this size, it is a bit larger than a burp cloth. 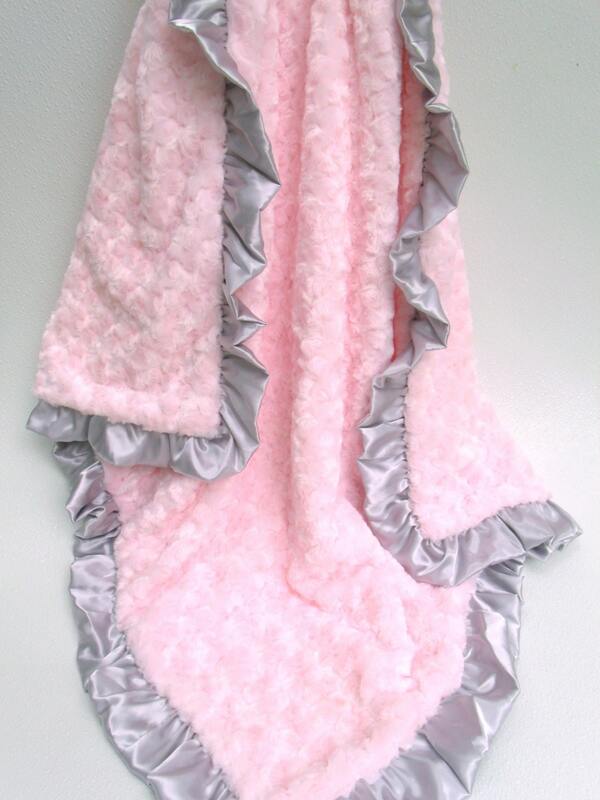 it is a travel blanket, a luvy. The last two photos will help you decide if a luvy is a good size - the adorable model is holding a luvy.